Sriracha has been on the news quit a lot lately. 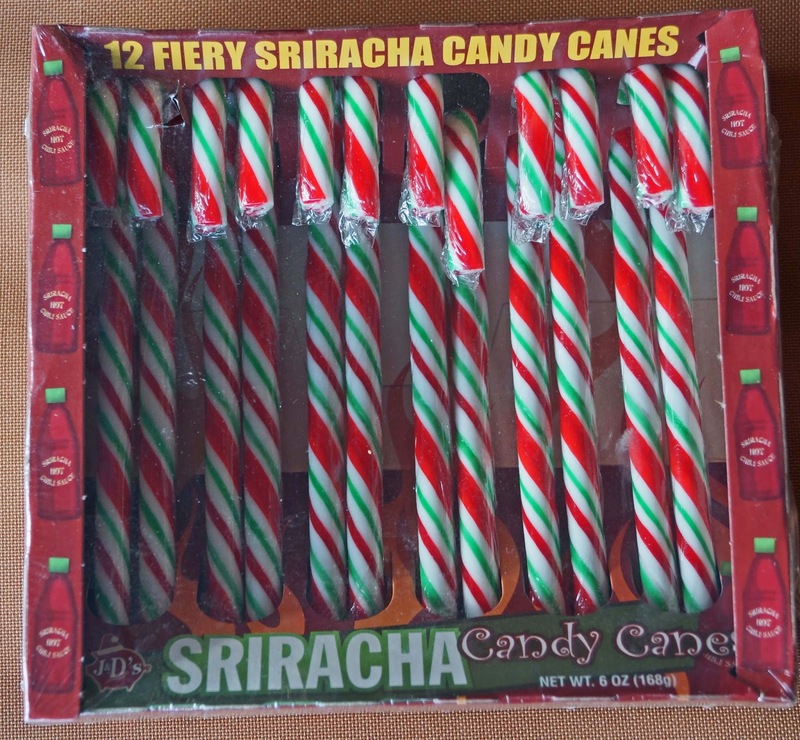 We just reviewed Srirachup and today we bring you Sriracha flavored candy canes. We are spicing up the Holidays literally. I just tried one of these spicy confections and have to say it is uniquely different. .The candy starts off sweet but then the Sriracha kicks in and grabs the back of your throat with a pepper bite. 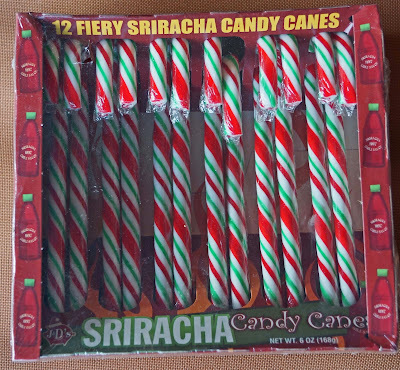 The heat is gentle but I may prefer a traditional old fashioned non-Sriracha candy cane. 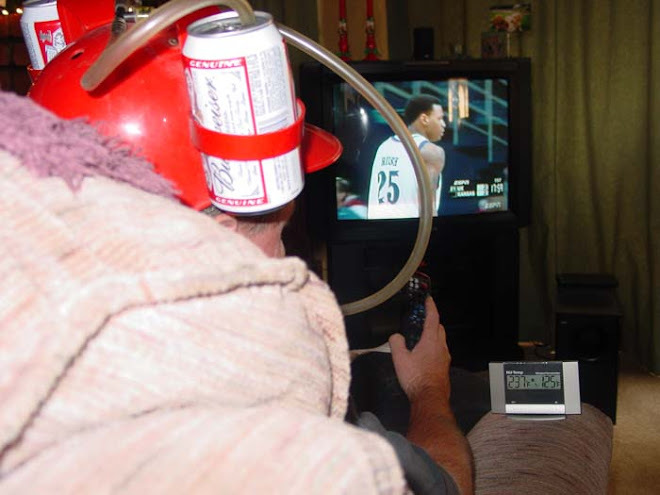 You just never know until you try. I did buy 2 bottles in case the Dept. of Public Health makes them change the recipe, but it sounds like they just want them to watch the bottles for 30 days to make sure none blow up. Aaron, I can take or leave Sriracha. It is good but there are so many other good hot sauces out there. There sure has been a lot of drama over it. Greg, It seems that way. 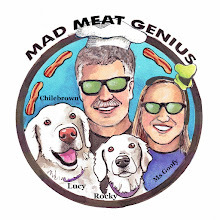 Cookiecrumb says it is the new bacon. I disagree. I would like to get a taste of that candies - they sound awesome :) Well, not that much awesome like Writeversity but still I think I can give it a try. Thank you for posting!